North East Swachh Bharat Mission (SBM)ConvenorSotai Kri led 16 member team from Arunachal Pradesh arrived here to monitor the ongoing progress and activities of SWM in Manipur. On their arrival the team visited some of the important places of the state including the Loktak Lake in Bishnupur district on Monday. 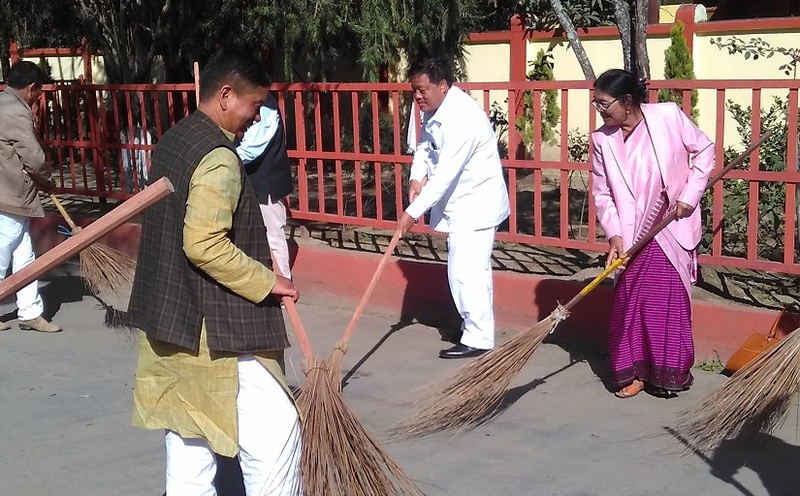 On the second day morning, Sotai Kri led the team along with BJP national executive and former MLA M Bhorot and SBM Brand Ambassador N Ibohal Singh led BJP functionaries attended a Swachh Seva Programme to clean up the premises of Gandhi Memorial Hall in Imphal. BJP state Mahila morcha leader S Seitabhama,Mayor L Lokeshor Singh of Imphal Municipal Corporation and other IMC officials also attended the day’s programme. 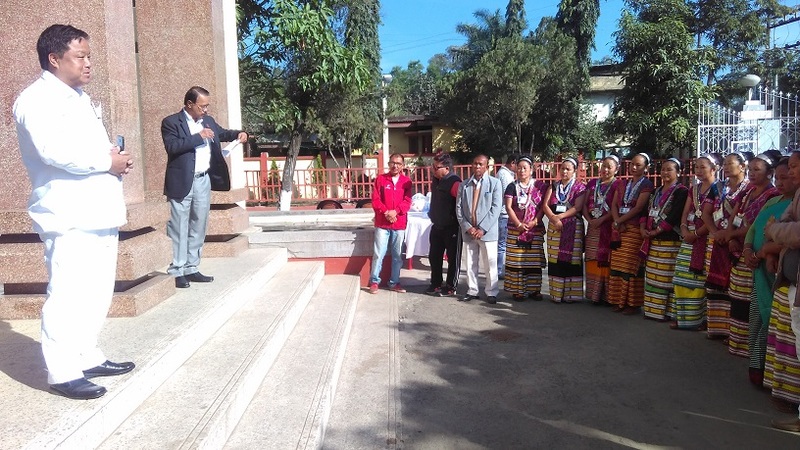 Speaking on the occasion, Sotai Kri who is also the Arunachal Pradesh Chief Minister’s advisor appealed to the people of Manipur to keep clean the state as cleanliness is perquisite for leading a healthy life and a healthy society. “I came here as part of visiting about 6 North East states including Manipur to oversee the situation and natural beauties of the region,” says Sotari while appealing to keep clean the rivers which flows to the lake(Loktak). SBM Brand Ambassador N Ibohal and Mayor Lokeshor also also spoke on the occasion. In his key note, SBM member and water expert RK Dilip Singh said a total of 4,42396 houses across 16 districts of Manipur have access to latrine while 27 towns including the state capital has been declared Open Defecation Free (ODF) in August 10, this year. Sikkim becomes India’s first ODF state in India in 2008 about 6 years before the much publicised SBM was launched. Arunachal Pradesh achieved ODF on December 31 last year while Manipur was declared as 23rdODF state on October 2, 2018. Informing that North East SBM Convenor led team is in Manipur to activate the SBM besides monitoring its progress in the region, RK Dilip Singh who is the former Director of Communication and Capacity Development Unit of state Public health engineering department, said waste management and clean environment are essential to make people healthy and progressive. It may worth mentioning here that SBM was launched in October 2014 by Prime Minister Narendra Modi, setting October 2019 as the deadline. The day marks 150thbirth anniversary of Mahatma Gandhi.